As you can see Punkin is a bit on the plump side and needs to lose weight. She came into rescue about 10 lbs overweight and has so far lost about 2.5lbs with portion control, exercise and diet kibble. Her previous owners had doubled her weight in the 6 months they had her according to records. Punkin is a sweet petite girl who should weigh about 11lbs or less and the extra weight is really limiting her. 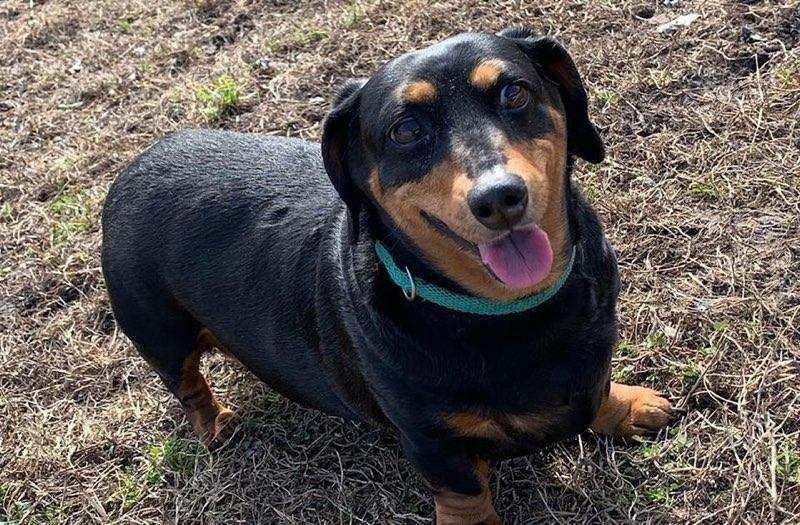 But Punkin is slowly becoming more physically fit as she loses weight and can now navigate a step or 2, run short distances chasing squirrels with the other dachshund and play. She still can’t jump on the sofa or climb a flight of steps. So for now she has to be lifted up on the sofa and carried up steps. A fenced yard for her to continue being active is a must plus daily walks to continue her weight lose goal. Punkin is technically called a Blk & Tan Dapple, but she only has 2 white dots on her left side. She knows sit and rollover commands….she does that cute little thing with her paws when on her back. Loves attention and belly rubs. She is fully house trained with access to a doggie door and crate trained. She currently sleeps at night in a dog bed at night but like all dachshunds would prefer cuddling with her person in the big bed. We believe she would be fine as an only dog as long as she is not left alone more than a few hours a day. 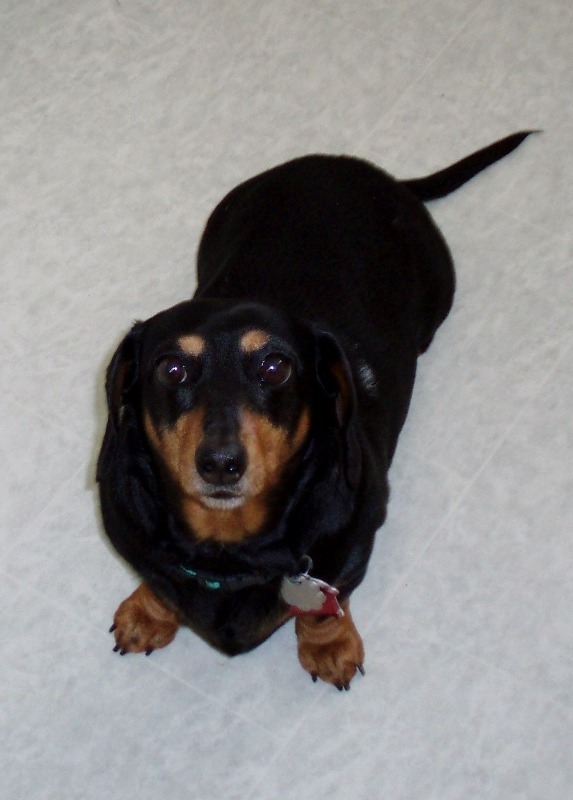 But in her foster home Punkin gets along with the other dachshunds but can be pushy and is an Alpha female. So would be best in a household with a male dachshund or a very laid-back female. She does not do well with big dogs and is not cat friendly. Punkin is also not good with children and would do best in an adult only home. She is working on being better about sharing toys and chewys and not hoarding them. This behavior makes us believe she may have been an only dog in the past, but not sure. It is sad to see the look in Punkin’s eyes when she wants to run and play with the other dogs but her body just won’t let her. 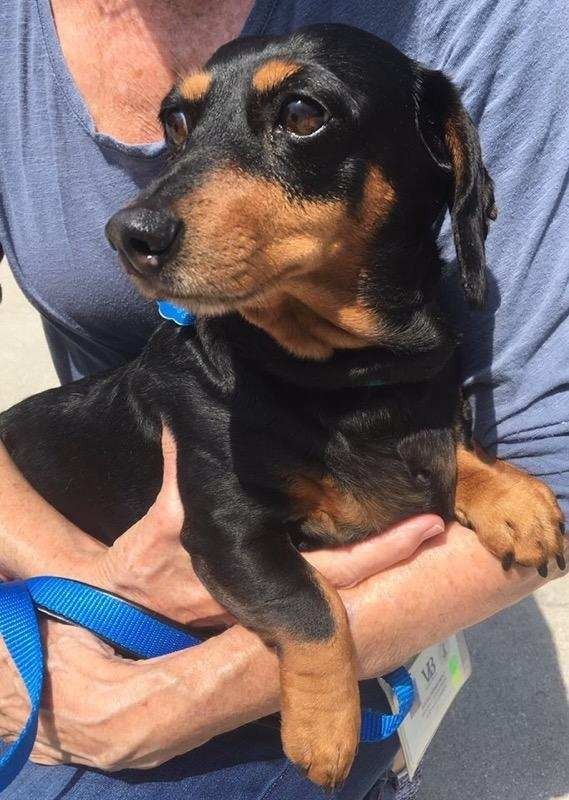 So if you think you can help her returns to a healthy fit dachshund please consider adding Punkin to your family. *Mileage restriction will be waived if approved adopter is willing to come to Virginia Beach, VA, to pick her up.